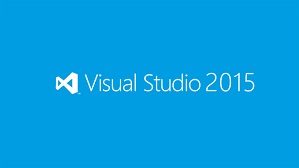 Visual Studio 2015 is officially released. Carrying along .NET 4.6, ASP.NET 5, MVC 6 and much more interesting stuff, Visual Studio 2015 is the latest Microsoft product to accompany our coding sessions. Windows 10 applications are, however, not yet supported. This is about to change shortly when Windows 10 release takes place. You may find more info in MSDN Visual Studio 2015 articles .